Hey, I'm having a problem on 1.13.2 where only sometimes it will deal damage to players when shot by a player. Shooting mobs always works, but with players its hit or miss, even if there is no possible way you're missing (like adsing from 3ft away). Please help? Do you have any other plugins on your server that may interfere with damage being taken? Do you have any anti-cheats enabled? I know the file itself is done correctly because I have not messed with it and this setup has worked the last time I had my server running, and I was on it, where I could see the models perfectly fine. It’s just now that I can’t see the models for the guns at all. Is it just me because I don’t have something set up right, or is this a bug? If either, how do I fix it? When you use any of the QA commands, do you receive any messages the resourcepack? Are you able to accept the resourcepack? If the resourcepack prompt does not appear, try using /qa sendResourcepack to force the request to be sent. How do i use the perms thing like i want to make it so a player only gets perms to craft whats the command? 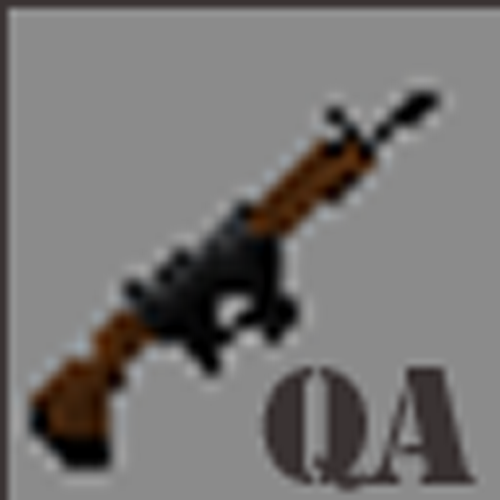 If you want a player to only be able to craft weapons using /qa craft, give them the "qualityarmory.craft" permission. ECONOMY NOT ENABLED. REPORT THIS TO THE OWNER! A bug is allowing me to create unlimited amounts of ammo just for the prize of a few. An exception is generated when calling the InventoryClick event when it happens. Can you post the error that appears in the console? If I don't forget, I'll check the console today and copypaste it. It looks like CraftBukkit does not contain one of the methods needed to get the clicked inventory. Although I post QA here, and it should mostly work for bukkit, bukkit should no longer be used. Instead, Spigot or one of its forks should be used instead, as it has has more features and utilities for developers and server owners. I don't know if someone already commented this, but I cannot change weapon's values (like damage), nor other values in files. Changes won't take place when I type /qa reload and will reset to default when server starts (or is realoaded). Nice plugin btw! I'm having a lot of fun!! When making changes to any of the yml files, make sure that "allowUserModifications" is set to true, so QA knows not to override any changes. I can't find it in the config.yml file, is it otherwhere or maybe I missed it? "allowUserModifications" is a variable in the yml files for the individual guns. When you want to make changes to a specific gun, go into the /QualityArmory/newGuns/ directory, find the yml for the gun you want to change, and edit that value in that file. Hi again developer!. I need some help with a problem, everything was running smoothly with the plugin but then i downloaded ProtocolLib (planning to buy QA vehicles) and turns out that single fire weapons like Magnum and Glock are now infinite, they neither require bullets nor reloading.